Safe online learning resources for learners researching online. Sue Harris, Federation Technical Support Team Leader at Lutley Primary School in Dudley, UK, describes why they chose Britannica Academic as a digital learning resource for the institution. At Lutley Primary School we wanted to enable our children to be able to search for safe content from reliable sources. We wanted to make sure that they remained safe when searching topics on the internet. We did have some council provided resources previously but they’ve recently been removed. We wanted to be able to direct our children to resources that were accurate, and that could be accessed from school and home. Now that we have these resources, we’re confident in the knowledge that our students are safe when they’re using the internet for research. We have also seen that the differentiation tools, such as reading levels have really benefited our learners. 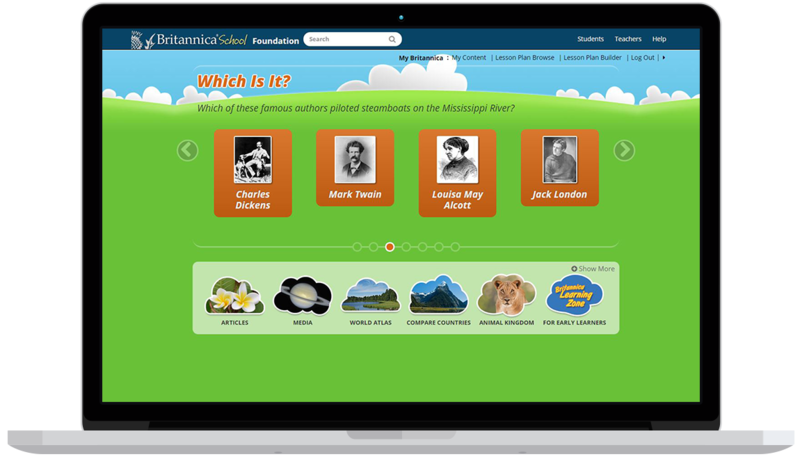 We first saw Britannica at BETT and we were really impressed. The ease of use is great, and the fact that it can be accessed from school or home. It also fits with RM Unify which is important for us. Britannica is an excellent resource which we would not like to lose. It is one of the best research tools that we have in school.